It’s a paradox of politics when one of Canada’s self-identified progressive governments risks a major regressive step in preparing our children for the future. Nor is the conundrum of Alberta’s NDP government debating dismantling its highly innovative choice-based education system baffling only to Canadian pedagogues. The resurgent spouting of old school dogma about the infallibility of State-centered instruction has left even international experts such as Boston College’s Andy Hargreaves scratching their heads in wonderment at the wish to go backwards. Hargreaves holds a prestigious Chair in Education at Boston College, which requires a commitment to promote social justice and to connect theory and practice in education. It’s an approach that has always been central to the progressive liberal platform in education, and Hargreaves has held Alberta up for a decade as a model of such systematic building of educational excellence. Yet as far back as 2012, he was voicing concerns about the beginnings of regression to outmoded visions of central planning pedagogy. He doubtless had in mind the very thing that will be debated this week in the Alberta legislature. 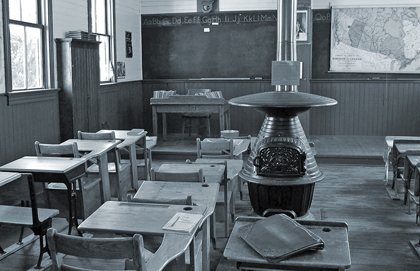 Currently, Alberta funds a range of educational providers, including non-government schools. It’s a sophisticated policy solution that allows government to do what it is best at: governing and setting high standards. It allows experts in education to do what they are best at: educating. An impressive range of experts enable Alberta’s students to meet ambitious targets. The options for school choice in Alberta include First Nations, Metis and Inuit Schooling, home schooling, distance learning, francophone schooling, alternative programs, charter schools, Hutterite Colony schools, independent schooling, public and English separate and French separate systems. As Dr. John Hiemstra, of the King’s University in Edmonton, argued in a recent Cardus policy study, it is a system where room is created for plurality to form and where parents can choose from a large roster of diverse schools. The results are demonstrable. With the highest level of educational choice in the nation, Alberta students consistently score highly on international and national assessments, taking first place in science achievement in the most recent Pan-Canadian Assessments. Against that, on Monday, the provincial legislature debated a controversially reworded private members amendment designed to suggest that educational choice is only worth funding if it is provided solely by the government. The wording, doubtless genuflecting to all-powerful unionized teachers, suggests that Education Minister David Eggen has not understood, or worse does not care, about the architecture of the system that underpins Alberta’s educational achievements. That goes far, far beyond what Boston College’s Andy Hargreaves said when he found it “worrying that currently, in Canada, local influence is being imperiled as districts are being merged into large administrative units that may become little more than conduits for delivering centralized Ministry policies”. He is not alone in that worry. Britain’s Sir Michael Barber is also an outspoken advocate of school choice and genuine educational diversity. Barber, who has recently been advising Prime Minister Trudeau, goes even further and argues that contemporary education systems need the kind of innovation that best comes from the private sector. Neither, of course, is Alberta alone in heeding the marching orders of educational central planners. The Ontario government is implacable in its toeing of the party line on safeguarding the government schooling monopoly. Indeed, Premier Wynne famously said that MPPs had a moral obligation to support only public schooling as defined by Queen’s Park bureaucrats. Alberta, alas, had broken out of this regressive mindset. It had moved toward tomorrow with dynamic innovations that chalked up proven results. What a pity and a paradox that only a year after being elected as a force for progress, its NDP government appears poised to turn back the clock on an earlier era of educational dead weight.